We are pleased to announce that we have been chosen to write a number of articles for the e-magazine of the Rotorua Chamber of Commerce, Business Rotorua Now. The first of our articles cuts through to the core of Search Engine Marketing & Google Adwords and how cost per click advertising can help promote your business to a motivated user exactly when they are in ‘research mode’ or ‘buying’ mode. 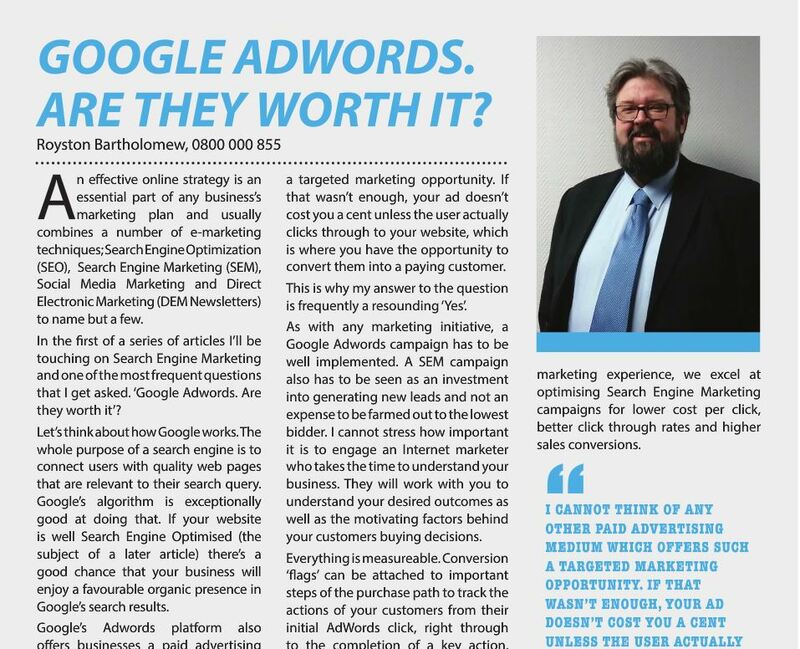 You can read the entire article here: https://cld.bz/IQylpMr/16-17, and keep an eye out for our second article, touching on Search engine Optimisation in the February / March issue.